Over the last couple of years, the growth of bitcoin has been immense if not to a paramount level. Recently, we saw Winklevoss twins becoming the first bitcoin billionaires. But, before proceeding any further, we need to understand blockchain and how it can pre-empt payments delays in SMEs. For starters, it can be defined as a public ledger where anonymous transactions are recorded between different parties, primarily during bitcoin money transfer and payment network. Often associated with virtual currency and cryptography, blockchain is mainly architected to share burgeoning data among several computers linked together in a chain. How can blockchain prevent delays in SMEs? Companies can implement smart contracts built with blockchain technology to prevent payment delays for delivered goods. These smart contracts are linked to virtual currencies to facilitate immediate payments when contractual conditions are met. However, to create such an environment, it becomes important to develop a public blockchain to be used by companies. 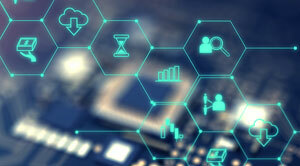 Many researchers and fintech adepts enunciate blockchains as the next leading-edge technology, and hence, such technology use should be increased and fostered instead of restricting it.